We design and develop complete solutions to marry technology and network solutions to your changing business needs. The Edinburgh International Conference Centre (EICC) had outgrown its legacy hardware controller-based WLAN which supported a limited number of 802.11n wireless access points. 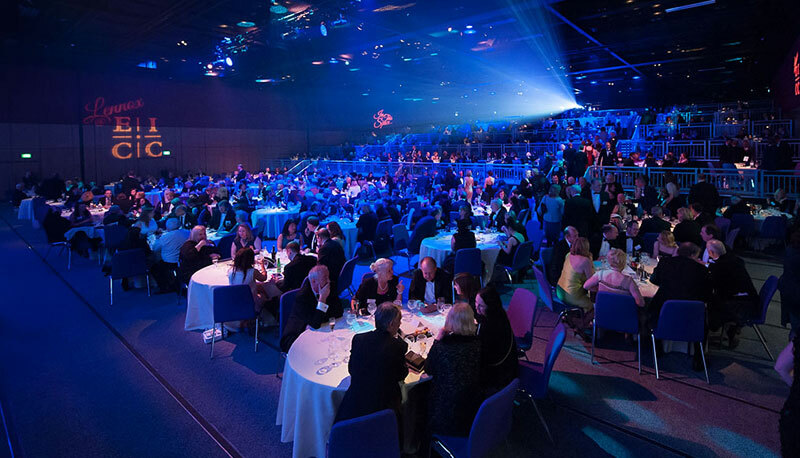 With the need to support 802.11ac data rates, greater density of devices and the increasing demand for Wi-Fi access, the EICC required a highly scalable, reliable solution which could support its high profile events and its commitment to sustainability. With Wi-Fi being the primary method of connectivity and events becoming more app driven, higher speed, higher density Wi-Fi was critical. As a facilitator for this, an upgrade to a 10Gbps core network upgrade took place with resilient fibre links to each remote cabinet. The EICC deployed ADTRAN’s Bluesocket virtual Wireless LAN (vWLAN) solution with Bluesocket BSAP-3040 802.11ac Wave 2 access points. vWLAN’s optional high availability software was also deployed to create a fault tolerant Wi-Fi environment to keep delegates connected. ADTRAN’s Bluesocket vWLAN solution enabled the EICC to easily move to a 802.11ac Wave 2 WLAN solution whist avoiding the traditional costs and constraints related to traditional hardware based Wi-Fi controllers. By leveraging the new 10Gbps network infrastructure and upgraded internet connections, the full potential of the Bluesocket 802.11ac Wave 2 access points can be realised by delegates travelling to Edinburgh from across the world, needing the Wi-Fi to keep in touch with business and family. By using the Bluesocket virtual infrastructure, the EICC benefits from greater scalability, a reduced total cost of ownership, increased capacity and integrated guest access services to support its various events. vWLAN in a high availability configuration provided the EICC with seamless failover with zero packetloss – ensuring user connectivity and satisfaction. vWLAN can effortlessly support in excess of 5,000 concurrent users while also supporting EICC’s sustainability strategy. With wireless security a constant concern, vWLAN leads the way with a secure 802.11ac solution that takes advantage of intelligent access points to enforce security policies at the edge. A full stateful firewall is configured and managed centrally but the policy is enforced at the access point to ensure that any unwanted traffic never enters the network.